In considering the price to pay for a property, the first step you must take is to know the ARV (After Repair Value), of a property. Of course there are other costs to consider in buying and selling but it all starts here…The value of the property. I know I get this question a lot… Question: “How do I value the property I am interested in?” I want to start by sharing that comps, or comparables, are regarded as the single-best tool in determining a home's value. Comps will compare criteria from recently-sold properties in a neighborhood, such as sale price, age of house, size, and square footage and come up with an average value based on these elements. I like to look at the last 90 days SOLDS and use ½ mile radius at most when considering comps around a property I am looking to value. On a side note, for easy online access to the information I am sharing here anytime, go to this website where you will find a ton of other FREE tools and resources catering to real estate investors. NEW – In Beta Form – www.FindCompsNow.com Seems to utilize Zillow yet lists the properties used to come up with estimate but adds some interesting features like separating out the cash buyers’ purchases from those who were purchased with mortgages. Most Comprehensive – Redfin - www.redfin.com Study showed they had 100% of all homes listed by compared to others. Again, there are many other factors to consider when looking to buy a property for investment services, (More on this in future blog posts.) 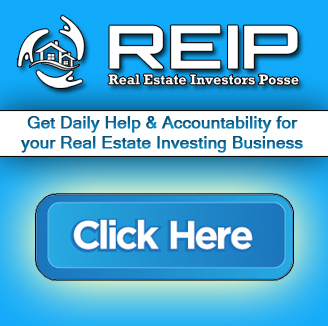 Are you interested in real estate investing? Be sure to click on the link below to take advantage of many that I use in my REI biz. 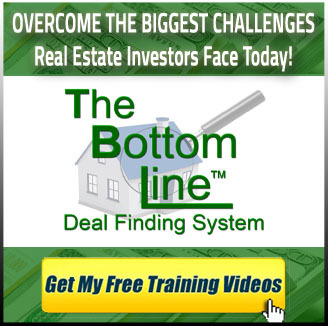 On a side note, for easy online access to the information I am sharing here anytime, go to this website where you will find a ton of other FREE tools and resources catering to real estate investors. If you have any other ideas, experiences or questions about using and finding comps, please leave me a comment below! It’s great to have the interaction and appreciate hearing from you. Very informative. Played with some of the tools on REI. I don’t know why I had to re-register just to leave a comment but I did. My comment is more a question but have you ever heard of or used “________. If so, they cost $99 a month, are they any good. It is run by ——-. I offer two no cost suggestions at http://www.managemybizonline.com When you login to my site here, hit the properties tab and see a dropdown called comps. Alot of great free real estate investor tools here – see “Tools” tab. Hope this helps! I didn’t realize there were so many websites dedicated to property values. Great Information. I’m glad you found this helpful! Feel free to share with others. Thanks for the info. These sites will be a lot of help. Great tools! Can’t wait to try them out. Thanks for the sharing the tools and information. Hi Tamera; thank you for the information. Please excuse me for being slow to get to your emails. I had brain surgery in June. I am preparing to return to work on August 15. Things are slow for me right now but I am making progress. I am looking at me emails as much as possible. This site was very good. Thank you. thanx for sharing all this info, I been reading all I can about real estate investing and just so much info out there from other coaches but you give more info for free thanx. Now I really need to get ahead on this real estate Im decided to be a real estate investor though Im a newbie now the decision is , wich coach or program would be best for me. Thanks Tamera. We never have enough tools/ways to evaluate a properties value. Thank you for all the information!! Thanks Tamera for all the information. Outstanding. I have heard that Zillow is much more accurate than they were several years ago. Except one other property that had a value of $625,000, and had sold approximately 3 months earlier. When I researched it on the County Website, I found that it had been purchased in 2006 for $625,000. It was placed in a Trust in 2007, and a new Trust in 2012, three months prior to the date I was researching. The County showed the property as being “sold” every time it was placed in Trust, and the “sales” price was the same as the original purchase price. So, the actual “comp” for that particular home should have been the same as the other houses I researched. They were all purchased within a few months of each other in 2006, and were all within about 200 square feet of the subject property, approximately 2,500 square feet. Had I accepted the value Zillow placed on the property, my offer would have been much too high. DO YOUR OWN RESEARCH. COMPS ONLY TELL PART OF THE STORY! Particularly with sites like Zillow. AGREED! This article is created for those who are not Real Estate Agents and do not have immediate access to MLS. You would want to use any of these free sites for your preliminary research only. I have given specific instructions for how to use Trulia most effectively only when first evaluating. If you’re offer is accepted based on this research, you most definitely would need to get comps that Realtors have access to to assure you estimated correctly. Thank you Jim!!! I looked at the tool box yesterday and your comps report today. Great information! Thank you Tamera! FYI, I am not, nor have I ever been a Real Estate Agent, and do not have access to MLS or Comps. This was just info that I thought might save someone a lot of grief when putting offers together. The County Websites are a source of some info, however, they are notorious for NOT being a site that can be used for Comps. They are a good source of verifying who the present owners are, and the history of the past ownership. This can help the investor who is trying to do as much of the legwork as possible, usually in order to save some money. I use the County Websites in order to verify that I am not falling for a case of fraud. No guarantee, but there is at least one case where this one step stopped me from becoming a victim and a statistic. I also know someone who thought they were getting a great deal, and did become the victim of a scam because they failed to take this step. That young investor allowed the experience to stop trying to invest in Real Estate. In my eyes, it was a learning experience. Painful, but not fatal. The shame is that he allowed it to paralyze him. He may never try investing again. Yes. The County records are good for information about ownership, but not for comps and many areas do not have access to this information online. 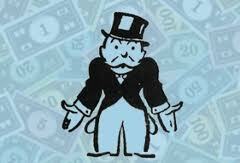 Again – Realtors have access to tax records when often times the regular person does not. It was great information and thankx. So far I like your information but still have some issues to deal with. In the RE agent class price (value) was whatever was agreed on by both seller and buyer (contract). What the comps say today may not be what they say tomorrow – one contract higher or lower than today’s value affects the values for the next 90 days. Also, not all sales go through the MLS so RE agents (appraisers, loan officers etc) do not have all the data they would need to establish what a property is worth in the market today – a property gets recorded in public record today not in the comps yesterday. Furthermore, Missouri is a non-disclosure state in that the sale price is sometimes but not always reported in the deed so “How much did they pay?” (privileged information!) Maybe a dollar or ten in a lot of deeds I have looked at! Also, did the appraisers look at the properties wholesaled around at various mark-up prices re condition compared to those on the MLS? Unless you walk in the place wholesaled by the one sitting right next to you at the REI guru meeting, you won’t know its condition compared to others already rehabbed. I got burned! All that you say is true. However, keep this mind. When you buy a property to re-sell on the open on market, what is on MLS is what is going to be considered not only by retail buyers, but it is the only information used when a qualified appraisal is done on your home for the retail buyer’s lender. It does not matter as much on the re-sale what is on the back end – what matters is what the appraiser is going to use. And re-selling is where you make your money. This is what you have to pay most attention to. I know this isn’t logical – but as is many things, it is the way sales are handled today. Tamera I would like to know if this process is the same as a CMA. I a CMA is just comps provided by Realtor. 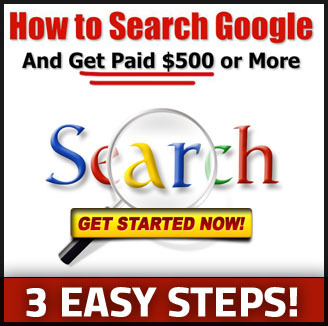 I have provided steps to get comps when you dont have access to Realtor comps. I appreciate all the offerings you are sending my way, it’s informative and helpful! So after your preliminary research, if you feel like you have a potential deal, where would I get the most accurate current and after repair value from? You would put in an offer based on all your research – when accepted by seller, get comps from your Realtor and actual bids from contractors, etc. You would always include a due diligence period on your contracts for time to do this and change your offer if you need to. I teach (over 6 months of actual training) and hand hold through the steps on this at http://www.coachingu2profits.com If you are interested and want to talk about if we are a fit, go to http://www.coachingu2profits.com/strategysession and fill out an application. A little late but better than never. Thanks for the info. These sites will be a lot of help and increase my investor knowledge..
your webinar was very powerful and your system is very thorough and easy to use how cool is that! I love it ! and thank you for sharing your info with us and your commitment to excellence ! The comps info was helpful. I appreciciate the qualifiers to avoid blind reliance on the sites mentioned. Thanks Tamera. I have been a realtor for many years. But I still wantto have access to comps outside MLS. How can I do that? This article gives you many ways to access comps outside of MLS… and we will be talking on our strategy session too! Look forward to talking to you soon! Your article was very informative, there were two sites for comps that I had not heard of before. I took them down in my notes to use them in the future. Thanks for the info. Love the explanation about using Trullia’s website. Thanks Tamera the information was very helpful it also verify s’ the information that I have received recently. The links were very helpful as I did not have a couple of them until now and the tips on using them was great, thanks. Thanks for providing us the additional tools so we can make good sound decisions. anything pop up that says that. Can you show a screen shot of this or explain it a little better. Liked seeing all the cash buyers on the map at http://www.FindCompsNow.com. Saw the response to Trulia issue. 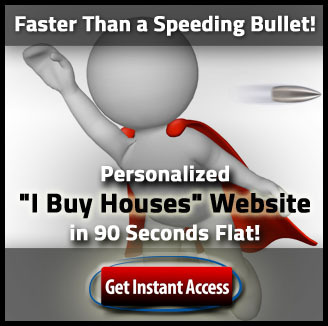 Good info at http://realestate.msn.com/article.aspx?cp-documentid=23756029. Thank you for your information about getting comps. Depending on what city the property is located, there are some systems that might provide this information to you online. Otherwise, your County office for sure will have this information. Hope this helps! Thanks a lot Tamera. I am looking forward to find out how to locate deals and on which site? Hi Tamera, I read it, good detailed info on property value and COMPS. I’m still hanging in there and read this, Tamera. Thanks for the info. THANKS TAMERA I LIKE THE CONTENT ON COMPS FINDING VALUE ON PROPERTIES. I cringe every time a client says “Zillow.” That information is usually not current, IMHO. Perhaps the SOLDS will be less skewed as that is a recorded number rather than one calculated by a computer algorithm. I will have to walk through your steps with Trulia. It will be fun to see how a valuation compares with one taken from MLS data. You can’t beat MLS data! However, many do not have such access and dont want to bother a Realtor to get comps when just considering properties. I don’t know if I belong here Tamera. The language of this article is like learning a new language. I sense your passion to help me and I’ll hang on best as I can. Thank you for adding to my knowledge base Tamara! Excellent info on comps Tamera. I’m impressed with (Beta) Find Comps Now. Anxious to see the finished product. Thank you! Comps really help in deciding whether to purchase or not. Doing your homework thoroughly can assist in estimating profit. And I’m looking forward to digging into them more and learning as much as possible. Thanks for some new sites to use. Phenomenal Resources! I went to the http://www.managemybizonline.com to complete my registration. I am looking forward to learning how to become a professional Real Estate Investor. This information on the comps is knowledgeable and informative. Wow, those recommendations are invaluable!! I think i can even find out ways to harvest all kind of data with them. Great info…thank you for sharing and looking forward to more ! Read it! Great resources. Thanks! Yes, one of the toughest issues in evaluating a property to buy for non realtors. Some of the websites like zillow is just not dependable. Trulia doesn’t work like you say but a little looking around can get you the info. For what ever reason, the managemybiz website is no longer active. A page opens up offering this domain for sell. Please check it out. I agree with your comments about online comps. Zillow seems to be the “Starting place” for now. But once we get into buying – definitely would be using MLS comps. great information, thanks for all you share. Thank you so much Tamera, you are such a blessing.Finally I’m connected. I know how to get comps, but I really appreciate you starting with some basic information. Thanks. I like all of these. Thank you for the wealth of resources and information. thank you for all the information…….I attempted to access the Tool box was not able to…. This is a very useful Blog. I will play with the rei Tool Kit. Yesterday I just visited it. Hello / Just read the blog. Thanks for the resources and sharing your knowledge. Exactly. These sites are very good at determining ARV. Thank you for your article about comps. I’m very excited about your program!! I am very excited too! Great to meet you. Thanks for reaching out! will say thank you so much and know it will come back to you 10 fold. Thank you Jay! It is so kind of you to take the time to share your gratefulness. I am so glad you getting alot out of what I am sharing. Means everything to me!! Thanks for your information about comps…very excited about your program in general! Just wanted to let you know that I read your blog on comps – thanks! Personally, I like Redfin and was glad to see it is a useful site for comps! Thanks for all the info, can’t wait to explore each! The subject and comp info given by Trulia, and Zillow is good to a point. It should always be backed up with closer and local info in your local area, this is what the agents, brokers, and appraisers will rely on when making deals. Also investors will also rely on investor comps, which may be lower, than what agents may use. Your due diligence is crucial here. Thanks Tamera you are always on point. Thanks for the info am new at this looking for a mentor. I have used Zillow a couple of times. “FindCompsNow.com” sounds very interesting. Thank You! I read it and am ready for more! Great blog – I read it. Tamera. Just read the info. Understand it so far. Thanks. Thank you, I need to catch up on your previous emails. Ok, got it, Thanks for the info. This is great information on how to determine the value of a property for beginners such as myself. The investor’s toolkit, as well as the other resources you provided are spot on. Thanks for the info. Thanks for all the helpful information and links would love to have you as a mentor sounds awesome. You took a practical approach to this subject. I know that this has been one thing I have really sought sources for. For example, I use Zillow a lot and several people have told me to avoid the Zestimate. Now I have s resource to replace that with. Thank you for such practical information! Thanks for the valuable resources and updates! Thank you for always sending us good info! I am a realtor and it is a bit easier to find comps. Thank you, again! I looked at the info, good info to get started. Tamera, two other sites that may help people with comps are Relax.com and eppraisal.com. These both look like excellent resources I will add to my article above. Thank you Bill! Great Info Tamera I’m looking forward on getting some of the leads I found to the HUB Alliance team thanks again. Thank you for sharing the insider helps and tools. Great Assistance for Success! Thank u for the information. Good information that is need. Thanks for the info and resources. I prefer working with a Realtor, because of MLS access. But, it is hard to find one who will work with an investor. They will make appointments that they don’t keep or weasel out of. It seems like they are already connected or they don’t want to deal with you. Any hints on how to find a willing experienced Realtor? Thanks much for your great info. I understand that you feel Realtors won’t commit to you and have not followed through. Be sure your going into conversation asking how you can help them. Offer to take them to lunch. Get to know them as people and find a win/win in the relationship. Thanks for all the great info! Keep it coming! The tools are great for a newbie like myself! Thanks Tamera. I read it. 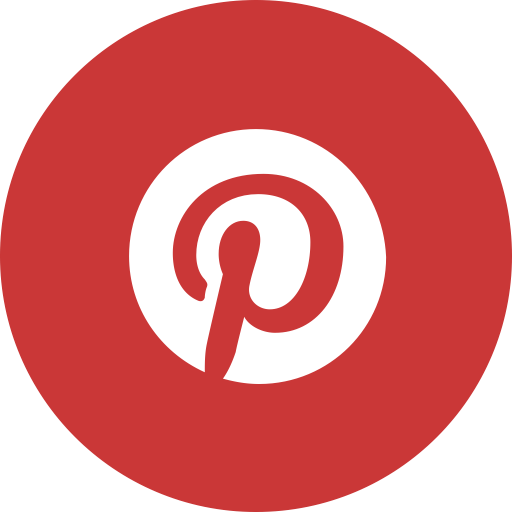 Great ideas and resources! – thanks! Hi, Tamera. I was not familiar with FinestExpert.com; very interesting site to determine fix and hold costs, benefits. Personally, I use Redfin more than I do Realtor.com or Zillow/Trulia. Quick question: what do you do if you do not have comps available inside the half mile radius, or no sold properties in the vicinity within 90 days? Extend the radius, the time frame, or both? Appraisers will look up to a year and 1 mile radius. If you have to spread out that far, you can do it. However, if there is such low sales in the area, I might question the value of the property you are considering. Good luck to you! Thanks for the great Info. I will definitely use these tools. Thanks for all the Great information. I’ve used a couple of these sites and will utilize the other sites. Good info, some new sites that I was not familiar with. The Research Tools for Comps, etc, that you listed are Extraordinary! I’ve not seen three of them previously! Thanks!!! Thank you for taking time to introduce yourself as well as the obstacles you have overcome. You are definitely living your hearts desire – this is apparent! Praying what I offer will uplift, inspire and train you to take your real estate investing business to the highest heights! READ UR EMAILS, READ ARTICLE ON HOW TO GET PRICE AND COMPS, ALSO LOOKED OVER TOOLKIT. I WAS IMPRESSED, IT WAS VER WELL CONSTRUCTED AND EASY TO FOLLOW. I’LL HAVE QUESTIONS LATER. Great info for me as a beginner. Thanks so much for this and all the info. Thanks so much for the information. I am going to start looking up properties right now. Thanks for all the great information!! i believe that this small piece of information is very helpful in one of my fears I think it will make me a lot more bolder at deal making that will be a great start for myself lets do this!!!! wow all this info for free thank you tamera keep up the good work! I read the article. Thanks for the info. Great information! Not holding back!! Thank you!